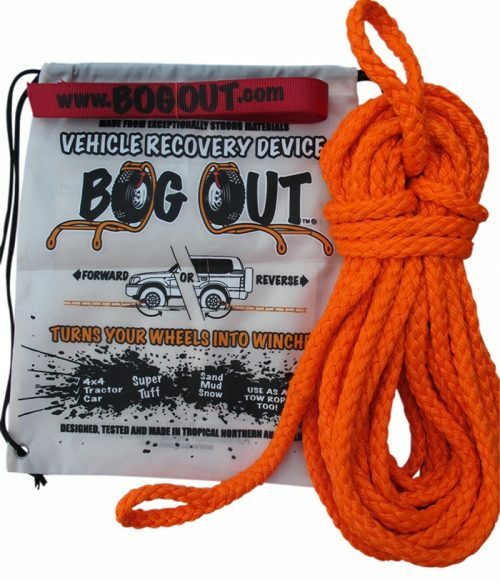 Handy 30 metres of 2 tonne braided rope specifically designed for BOG OUT and manufactured to our low stretch, high strength formulae. 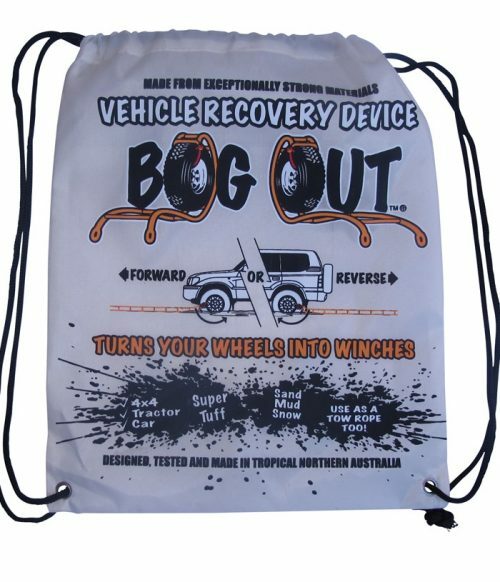 It comes in a tuff ‘Back-Sack’ bag with two red connector ties and instructions. 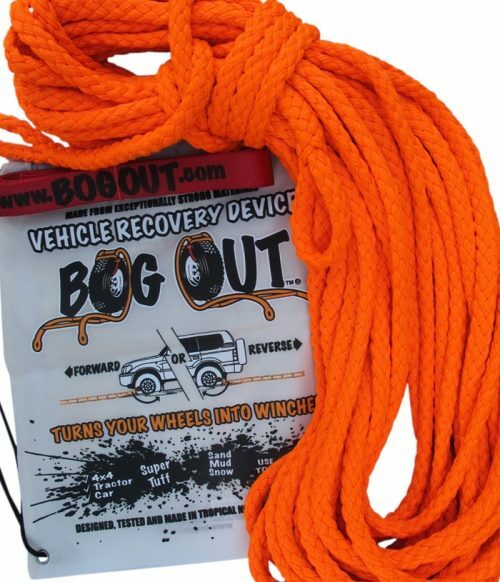 BOG OUT is made tough but not indestructible (we still use our prototypes which have done many, many recoveries). If a rung is damaged, it can be replaced and can be repaired in the field or back home in the shed. They are made to our own specifications with a breaking strength of over two tonnes and designed to resist tearing (unlike seatbelt type materials). They come in packs of 3. 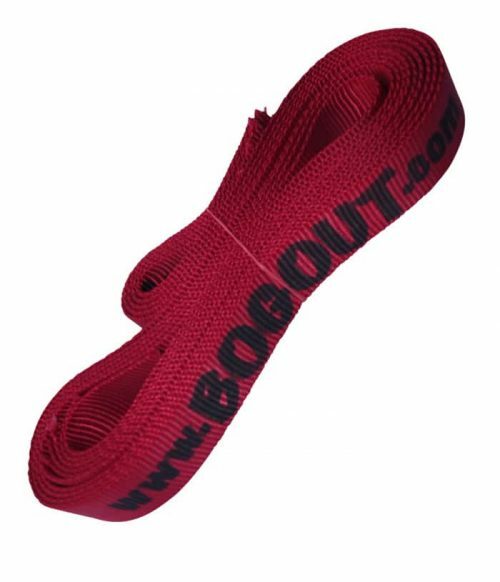 Our red connector ties are made to our own specifications with a breaking strength of over two tonnes and designed to resist tearing (unlike seatbelt type materials). 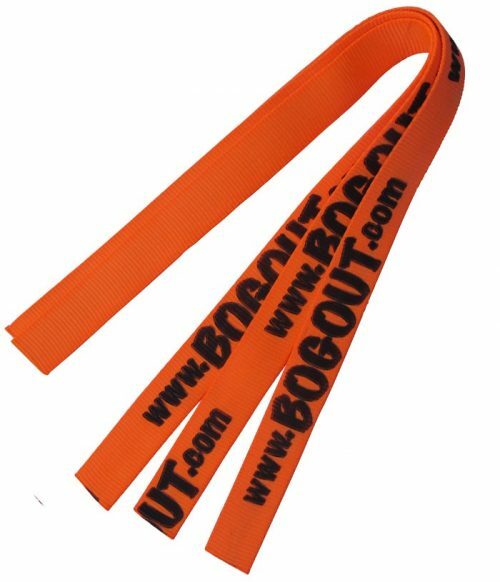 Whether connecting the BOG OUT to your wheel, or to an extension rope or anchor, or a myriad of other jobs, these ties are very useful and we recommend having spares. They come in packs of 5 and are approx 900mm long. These ties are tuff but do a lot of the ‘dirty work’ in the recovery process and should be considered disposable when damaged. They’re fully recyclable and inexpensive.